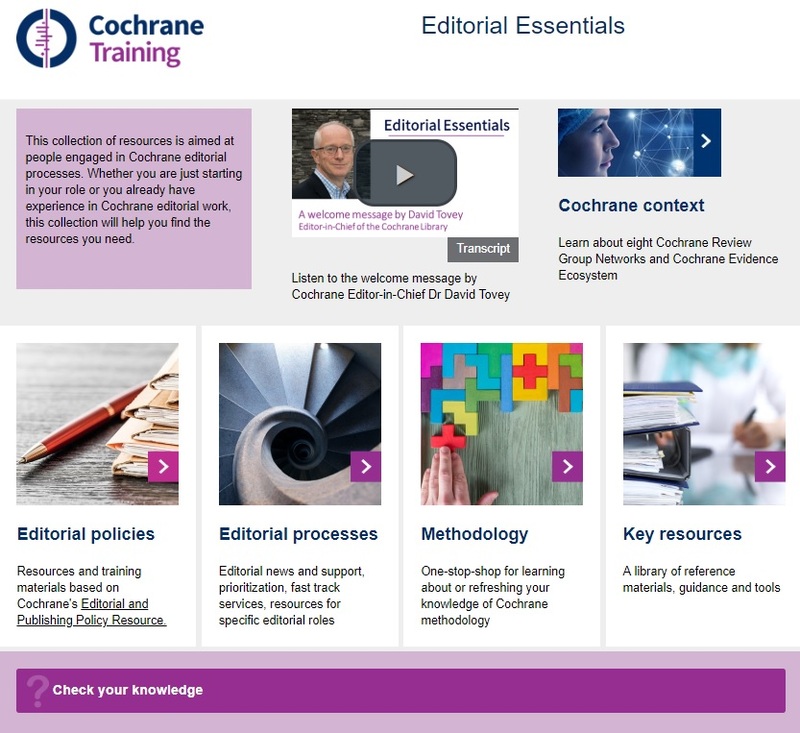 Editorial Essentials is a portal for people involved in Cochrane editorial work to find the training materials, guidance and other information they need. For those who are just taking up an editorial role in Cochrane, Editorial Essentials can be used as an induction tool. For those who already have experience in editorial work, it can be used to refresh their knowledge and quickly find resources. Editorial Essentials are accessible after logging in with Cochrane Account. Click on the button below to access the portal. The training and support available for those in editorial roles will continue to develop, with new resources becoming available in 2019. Please do let us know if you have suggestions for particular areas where further training, support or guidance is required to support editorial work in Cochrane. All feedback is welcome at training@cochrane.org.